A flagpole can greatly improve the appearance of your front yard! Here are some of the different benefits of having a flagpole in your front yard. You can show your patriotism with the American Flag! Fly flags for your favorite sports teams! Fly flags for your children’s school! Or any other type of flag! Call Factory Direct Flagpoles & Accessories at (405) 495-3524 for a FREE ESTIMATE on a Flagpole for your front yard! We also carry several different flags which you can check out on the flags page of our website. 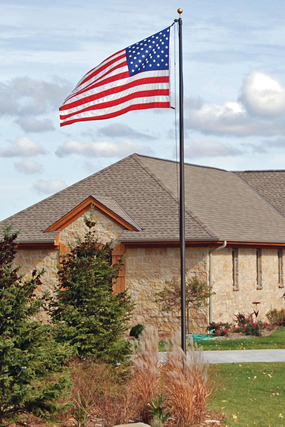 The staff at Factory Direct Flagpoles & Accessories is looking forward to meeting your flagpole installation needs!